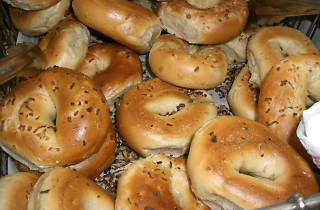 Bagel Factory is a small, mini-chain of bagel bakeries and shops; there are three locations serving western L.A. and Torrance. 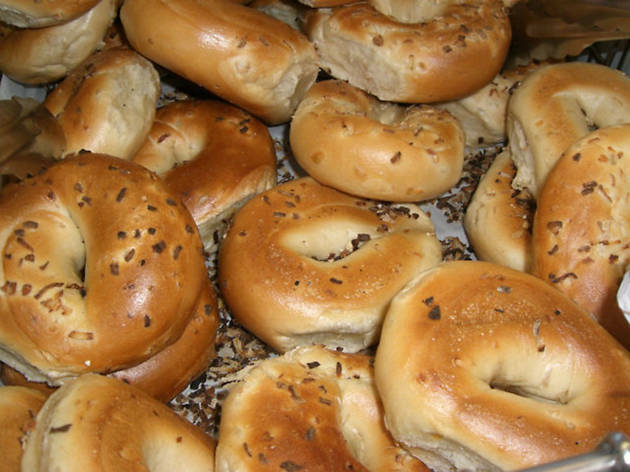 Self-identifying their bagels as “Kosher-style,” Bagel Factory also operates as a full service bakery, with a big selection of house-made breads, cakes, pastries and challahs. The focus, though, remains on the namesake bagel, which are sold in a staggering amount of styles and flavors, including white, wheat and sugar-free varieties. The boiled exterior and ordering options, including classic and modern spreads and sandwiches, is difficult to beat.